On Friday, the Victorian Commission for Gambling and Liquor Regulation (VCGLR) released a report following a review of Crown Resorts ongoing gambling practices. In its review, the VCGLR found multiple failures to comply with responsible gambling regulations. In spite of its shortcomings, Crown Resorts Limited was deemed fit to continue providing gambling services, with its casino license being renewed. The VCGLR is also doing a separate investigation into the 19 Crown employees detained in China. The Melbourne flagship casino fell short of the responsible gaming standards set by Victoria’s gaming regulator. The commision reported that Crown did not have adequate staffing to intervene and offer assistance to Aussie gamblers at risk of potential harm. Crown demonstrated very little regard to the plight of gambling addiction in the region, with no recognisable responsible gaming measures in place. This was also noted to give rise to Crown’s apparent culture and gambling practices that leads to the failure to ‘understand the regulatory structure and obligations’. The VCGLR review looked at Crown’s business practices spanning over a period of five years, from mid-2013 to mid-2018. 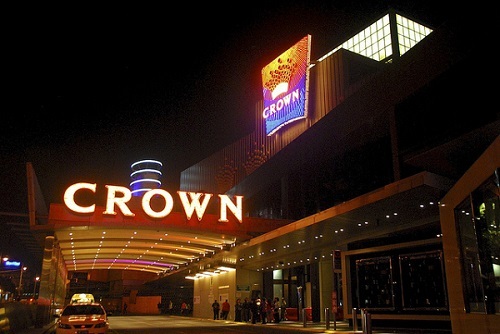 Therefore, it had documented the current turbulent year that Crown Resort underwent, which included alleged tampering with pokies machines and a possible case of money laundering. The VCGLR proposed that the need for improved protocols around money-laundering risks, and its prevention of problem gamblers were at hand for the famous gambling establishment. Crown Melbourne chairman, John Alexander, was in agreement of the findings by the gambling regulator, insisting that the casino is committed to improving the current responsible gaming structure. As we wait with bated breath to see if Crown indeed changes its tune regarding responsible gaming compliance, you can switch to any of our recommended gambling sites online.